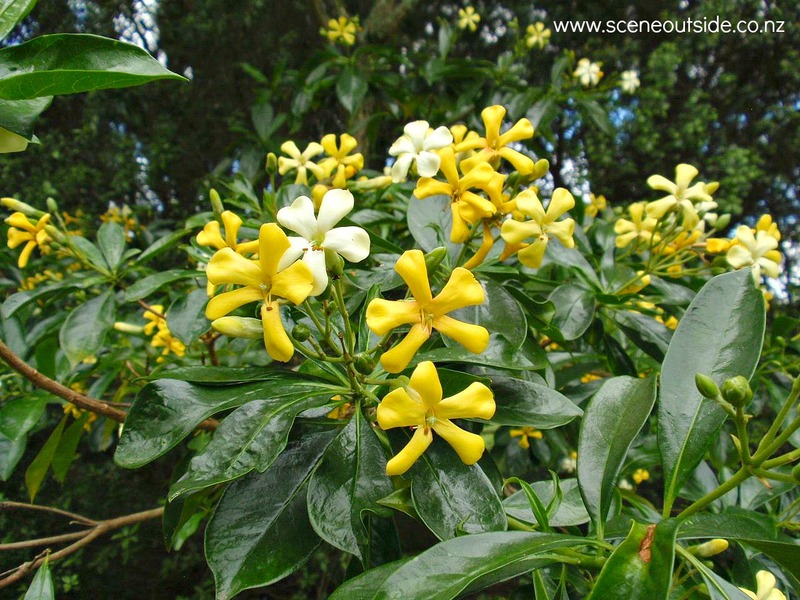 Soft-wooded evergreen shrub with a sprawling habit, native to the Canary Islands and Madeira. Hairy, grey-green leaves to 20 cm long, arranged in whorls along the stems. Smaller leaves on flowering stems. Large 20-40 cm long spikes of sapphire to violet blue flowers with crimson stamens during late winter and early spring. Usually perennial, but may behave as a biennial, forming rosettes of leaves in the first year, producing flowers in the second year, and dying after flowering. Attracts bees and butterflies. Prefers a sunny position in well-drained soil. 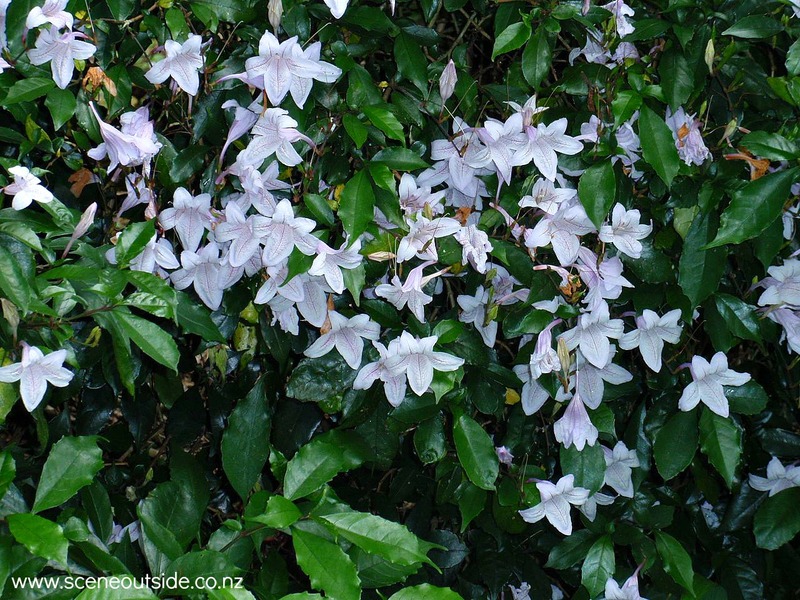 Remove dead flowers and prune after flowering to keep compact. Tolerant of light frosts. 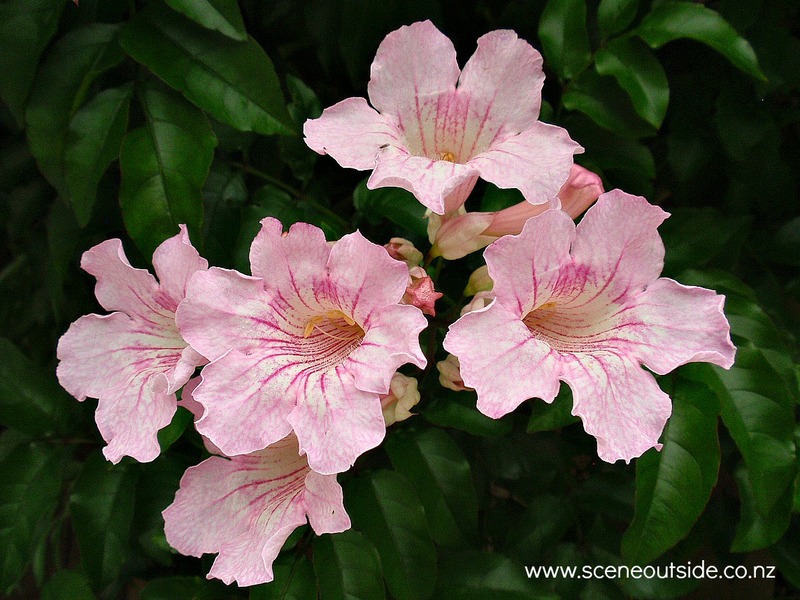 Grows well in dry, exposed, and coastal conditions. Striking feature plant when in flower. 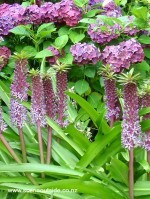 Excellent choice for flower display in dry, sandy, seaside gardens. Clump-forming perennial plant, flowering with bright acid-yellow 'flower' heads, 5-8 cm wide, in late spring. Botanically speaking, the parts resembling flower petals are modified leaves, and the actual flowers are very tiny. Simple, elliptical to linear leaves, 4-6 cm long. Foliage tends to colour up during autumn in shades of red, purple and orange. The common name refers to the plant's cushion-like growth habit. All parts are toxic. Sap may irritate skin and eyes. 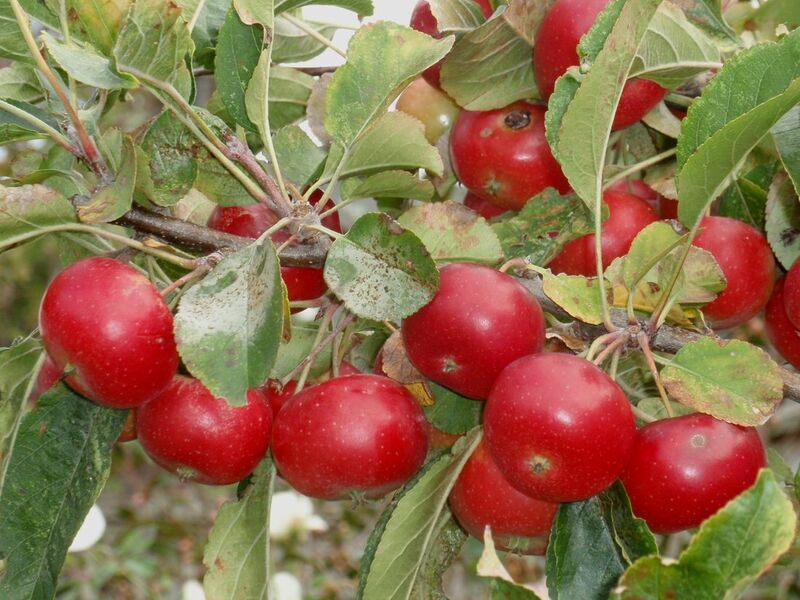 Grows well in full sun, but in hot areas a partially shaded position with morning sun only is best. Too much shade will result in a leggy, open shape. Any well-draining soil. Not tolerant of waterlogged soil and reasonably tolerant of dry soils. Self-seeds. Can become weedy, but is easy to control by cutting the stems back to about one-third after flowering. This will also keep the plant compact. Wear gloves when pruning to prevent skin contact with the milky sap that seeps from the cut stems. Frost hardy. Evergreen in areas with mild winters, but cut back to near ground level to maintain a well-shaped plant. You can create gorgeous colour combinations by planting Euphorbia epithymoides together with blue or purple varieties of Ajuga reptans, Acquilegia, Geranium, Iris, Lobelia, or with purple leafed Heuchera or Loropetalum chinense 'Burgundy'. The colour is particularly attractive in the shade, and if you wish to make the most of the beautiful bright colour on a well-shaped, compact plant, then select a partially shaded position. Can be used as a ground cover, but does not spread, so make sure you plant enough plants to produce a good cover.